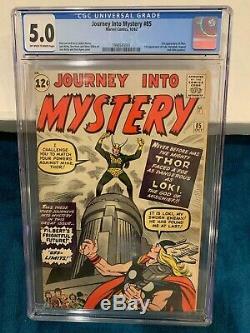 Journey into Mystery number 85, first appearance of Loki, Heimdall, Asgard, and Odin in Cameo. Pictures are of actual comic. Message with questions and thanks for looking. 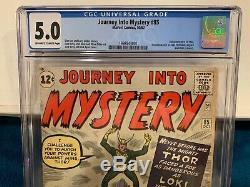 The item "Journey Into Mystery # 85 1st Loki, Odin, Heimdall, & Asgard CGC 5.0 3rd Thor" is in sale since Thursday, April 4, 2019. 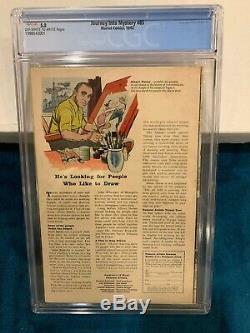 This item is in the category "Collectibles\Comics\Silver Age (1956-69)\Superhero\Thor". The seller is "krazycatcomics" and is located in Abingdon, Maryland. This item can be shipped to United States.